Two veterans from Seattle's music scene have teamed up to create Clock-Out Lounge, a new Beacon Hill bar and venue, and they recruited one of the city's top pizza makers to run the kitchen. The last thing Jodi Ecklund and Denise Burnside wanted was to open a venue. Veterans of the local music scene, they’d been there before — Ecklund as the longtime talent buyer at Chop Suey and Burnside as the Showbox’s former general manager. They knew how much work it takes. Yet here they are, paint dried on their new rock ‘n’ roll pizza bar on Beacon Hill, pledging their newly installed stage to local musicians. “We were looking for a little neighborhood bar and then we walked in here and were like, ‘[Expletive.] This needs to be a venue,’” Ecklund says, perched on a leather-backed bench in her new Clock-Out Lounge. Call it fate or too much love for the local music game, but the punk rock ‘n’ rollers from Seattle quintet Pink Parts felt like there weren’t enough places for local bands to play — particularly in the South End. Though she name-checks a few clubs regularly putting locals on, Ecklund says she’s seen a decline in Seattle bands being added to bills supporting “top tier” national headliners. After leaving Chop Suey, she continued booking shows on her own terms, including Monday-night gigs at Capitol Hill’s Cafe Pettirosso when the restaurant was closed, which convinced her there was room for another small venue. Her hope is that Clock-Out can be a “launching pad” for local acts eager to get their name out there. “The support we were getting in a little tiny restaurant on Monday nights, there would be a hundred people there and bands were just coming out of the woodwork wanting to play,” Ecklund says. Clock-Out officially opened last week and, after finding their rhythm, the plan is to host live music Thursday through Saturday. Stoner rock stalwart Sandrider performs this Saturday, with other local and regional bands like Bread & Butter, Red Dons and the Black Tones playing in the coming weeks. 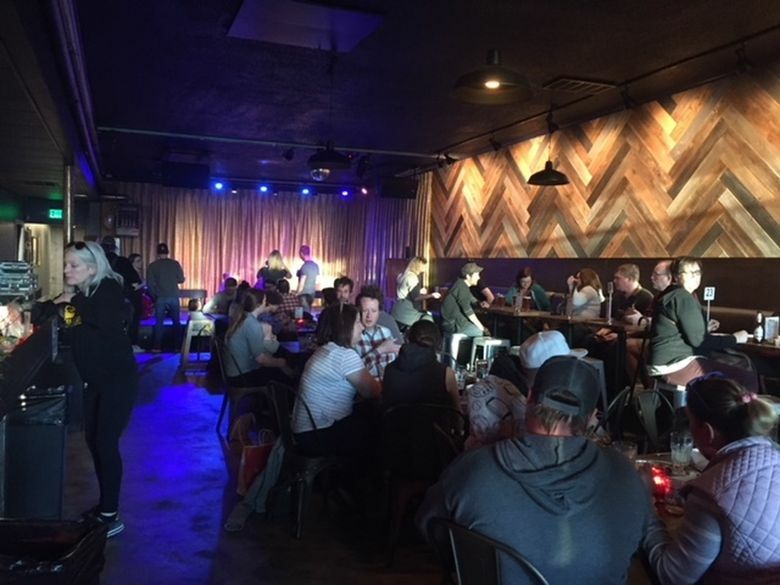 Despite the musical detour, Ecklund and Burnside aren’t straying from their original “neighborhood bar” vision. The 3,700-square-foot space at Beacon Avenue South and South Columbian Way, formerly home to Montis Grill, didn’t need a major overhaul — just fresh paint, some soundproofing and sleek wood panels along the south wall that warm the room and also help with acoustics. They scored the booth seating lining half the room from a shuttered Bothell nightclub, and the gold curtain hanging behind the stage is one of Ecklund’s favorite touches she says she couldn’t have gotten away with at other clubs. They’re also banking on a local pizza ace to help lure restaurant-hungry Beacon Hill dwellers with quality pies. Burnside, KEXP’s former CFO, knew Windy City Pie guy Dave Lichterman through a KEXP connection, and recruited Seattle’s deep dish champ to oversee the kitchen. Windy City Pie’s second outpost will run similarly to its setup in Batch 206 Distillery, though they’re calling the Beacon Hill satellite Breezy Town Pizza (see what they did there?). The biggest difference is Breezy Town’s lighter sourdough focaccia crust, instead of WCP’s brioche, that won’t induce a food coma before the first band. In addition to those $4 slices and eat-in pies, Breezy Town is available for delivery through Caviar and takeout will commence once they’re firing on all cylinders. While pizza is the preeminent food group in a rock ‘n’ roll diet, it’s also a hit with the kiddos, who are welcome at Clock-Out until 8 p.m. For Burnside — who’s raising a son while opening the bar, chasing her MBA and playing in Pink Parts — it was important to create a kid-friendly spot she’d actually want to spend time at. “I find a lot of places that I might want to go hang out, it’s not necessarily kid friendly, and a lot of us older rock ‘n’ roll folks have kids,” she says. Clock-Out Lounge. 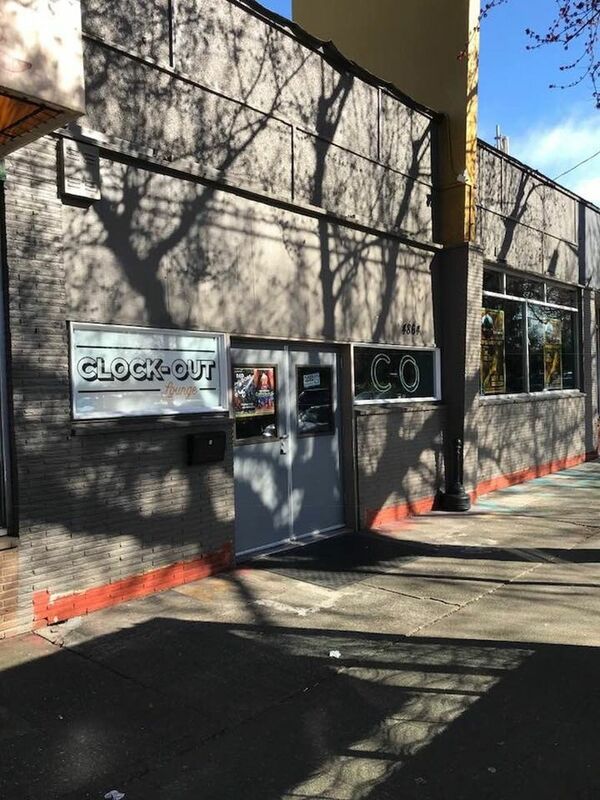 Opens at 4 p.m. weekdays, 11 a.m. weekends; 4864 Beacon Ave. S., Seattle; 206-402-6322, clockoutlounge.com.